The whole story of how and why this pool became a spot. Check the video featuring Jordan Hango, Matt Desson, Carl Arnett and Riley McMaster above and the rest of the story with pictures, below. 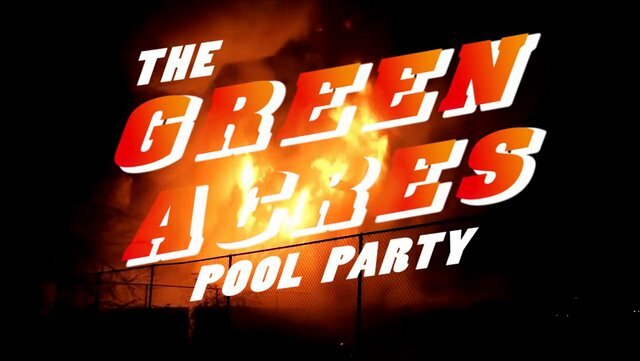 A mid February fire that ruined an apartment building in Burnaby was the first step that led to this Green Acres Pool Party. The incident had been the Green Acres second fire in the last couple of years. This time the fire managed to eat its way through the structure and forced a collapse of the back half of the building. With the apartment completely written off, there was a prompt demolition of the site. 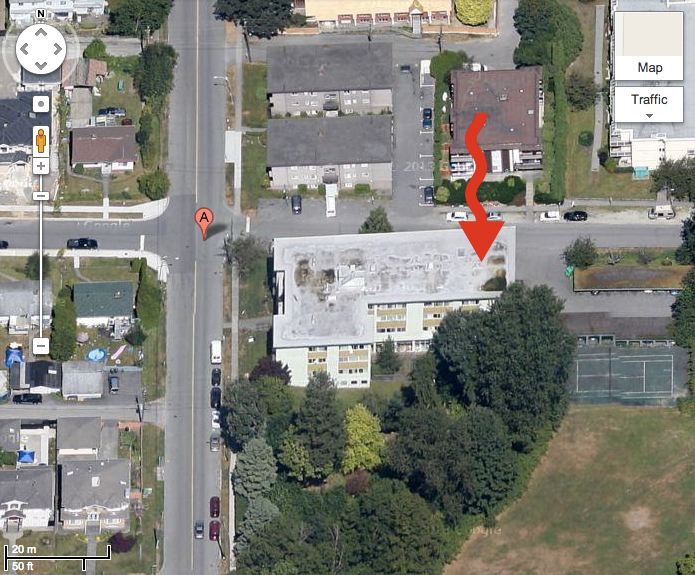 What wasn’t visible until the removal of the building was a 7 foot deep in ground swimming pool. A really crispy rectangular splashing hole. When we discovered the site, just the foundation remained along with the pool fully intact. It is the cleanest construction site I’ve ever seen, likely because of the concern over the asbestos that was used in the insulation. The pool was filled with five feet of filthy runoff water and housed a mosquito habitat. We would be doing the neighborhood a huge favor by removing the mosquito breeding ground. With the help of a generator and a pump, we started drawing the water out from the pool into the caution-taped off tennis court. A couple of hours of bucketing while the running the pump was all that was necessary to see the bottom. The water started filling back up, so we kept bucketing as we could assess the pipes that were causing the backlash of water. Some distinct chunks of rubble were needed to apply the right pressure on the lid of a pipe down in the drain. The rubble was chipped down so we could even fit the drain cap back on, leaving no obstructions for us to hit the smooth trannies of this forgotten hole in the ground. After the 6 hours it took to drain and clean and then about 3 hours of riding, a concerned citizen informed the police that we were trespassing. A solo cop came in and was impressed by all our work and actually seemed bummed that he was forced to kick us out. Oh well, those are the trials and tribulations of riding outside the refuge of a skatepark.